In the past couple of years, firefighters in California have been incredibly angry that drones are showing up practically every time they try to fight a wildfire. Well, on Friday, officials in the state announced that they’ve made the first arrest of a drone hobbyist due to his interference with firefighting efforts north of Sacramento. On Friday afternoon police officers arrested Eric Wamser, 57, of Foresthill, California. He’s being charged with interfering with firefighting operations. Wamser was allegedly taking aerial footage of the fire with his drone, though the model he was using has not been released. Police claim that Wamser posted some of the footage on social media, which helped lead to his arrest. As the Wall Street Journal notes, there have been over a dozen hobby drones spotted near wildfires so far this year. And according to the U. S. Forest Service, firefighting aircraft in the United States have had to be grounded six times due to hobby drones interfering with their operations in 2016. Wamser was allegedly flying his drone over the fire, commonly called the Trailhead fire, on the evening of June 28th. 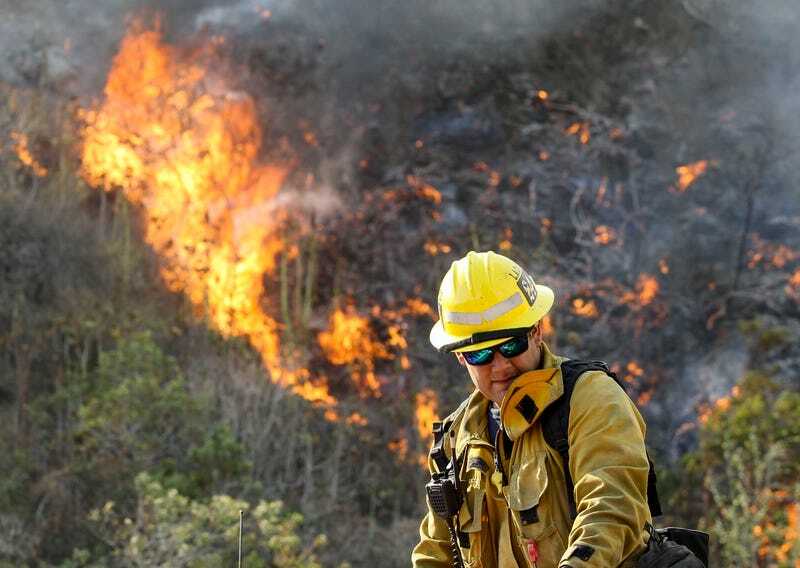 That fire has burned over 5,600 acres and is currently 98 percent contained. The charges against Wamser are a misdemeanor. The FAA has released a smartphone app called B4UFLY that is intended to be used by hobby drone operators to see if there are any aircraft restrictions in their area before they put up a drone. Wildfires would trigger these kinds of restrictions.